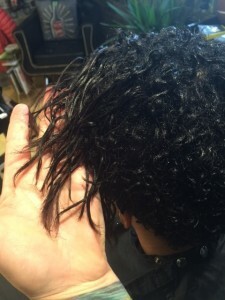 Smoothing treatments will permanently destroy your curls and waves. Learning to truly love and respect natural texture is not something that is taught in 99% of beauty schools. Curls are abused and straightened or otherwise manipulated, this is the norm. Keratin smoothing and other straightening “treatments” cause Permanent damage. The road to beautiful Frizz free curls is not paved with flat iron heat damage and formaldehyde releasing “treatments”. If your goal is to keep your curls and length, Do not let a stylist talk you into a “Keratin Smoothing Treatment” that uses heat to seal it in. They will try to tell you that it only lasts 3 months and that your curls will return. These so called “treatments” are going to set you back months and years on your natural hair journey. If you are going to someone who claims to be a “curl expert” and they recommend straightening or smoothing treatments, be aware that you are in the wrong hands. Permanent Damage from Smoothing Treatment. 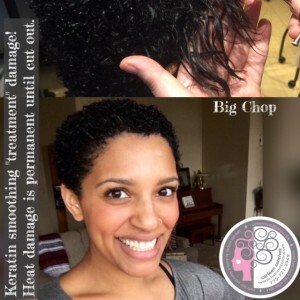 If you have fallen victim to one of these “treatments”, a BIG CHOP haircut may be in order to get you back on the road to beautiful naturally curly hair. I can attempt to breath a bit of life into your curls with a bond rebuilding Olaplex service, but 9 times out of ten, the straight pieces of your hair that don’t match with your curly pieces, will never change back. Big Chop Haircut to remove damaged hair from Smoothing treatments. A Big Chop Haircut resets your curls by cutting away the permanently damaged hair. Life will be easier and you will be on your way to long juicy curls that are 100% all you. I was never satisfied going to a salon, but this time before doing a walk in at a random salon I decided to do my research. This is when I found Carleen & booked an appointment. I also had no idea there were stylists that specialized in curly hair. Carleen is very talented & treats her guests with the best costumer service. I believe I finally found my long term hairstylist & I would recommend her to anyone. She’s amazing!! 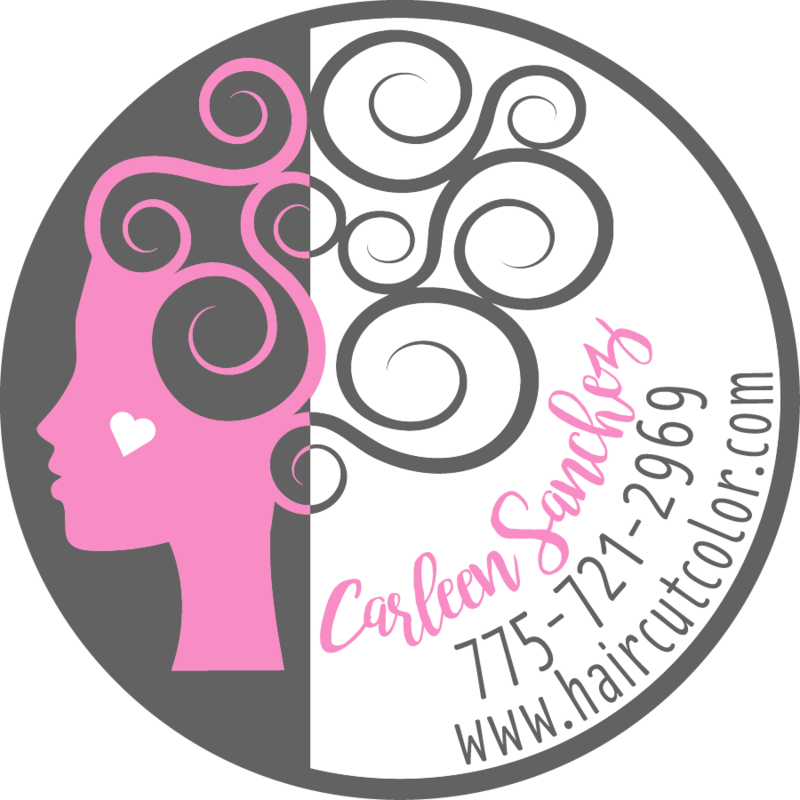 Carleen Sanchez in just a few months you have transformed my over bleached, raggedy, frizz ball head into a glorious mane of blonde curls! Not only is the result amazing, the complete Carleen experience is second to none. 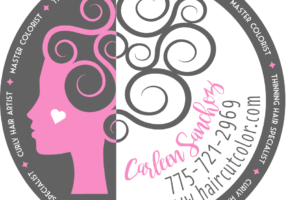 A lovely, fun studio, with refreshments, presents, hair sparkles, photo shoot, wonderful staff and clientele, make a day in chair seem like a night on the town with your best friends! I love you Carleen for making us curly girls feel beautiful!